Robbie Ethridge, a University of Georgia graduate student, Dr. Ray Rensi of North Georgia College, Bill Kinsland, owner of the Hometown Bookstore in Dahlonega, and University of Georgia professor Dr. Charles Hudson discuss how new people poured into central and north Georgia wanting to own land. The forces eventually driving Indian removal were largely economic. 1. What was the problem with the settlers getting land on "The New Frontier" in Georgia? What did the U.S. government plan to do to get this land for white settlers? Why would this plan work? 2. What was Benjamin Hawkins' role in the "Civilization Plan" and why did this lead to a conflict between the Red Sticks and the White Sticks? Who won this conflict? 3. Why did the Cherokee tribe in north Georgia think that their fate would be different than that of the White Stick Creek Indians? 4. Why does the federal government no longer back up its currency with gold? 2. Research and report on the "Trail of Tears." This could be factual or in the form of stories (real or imagined) about Indians who endured the march to Oklahoma. Most of the land was owned or occupied by Indians (Native Americans) at that time. The government proposed to teach the Indians to live more like whites: to become farmers rather than hunters. In this way, the Native Americans would need less land and be more willing to sell their remaining territory. Benjamin Hawkins was a federal Indian agent, appointed by the U.S. government to carry out this Civilization Plan. It was his job to convince the Indians that this was the best plan for their tribe. They would get paid for the land rather than the government just coming in and taking it over—possibly with guns. The White Sticks were Creek Indians who had already had years of contact with the white settlers. They had adopted many of the ways of the white man, becoming farmers and trading with the whites. The Red Sticks were also Creek Indians but who held tightly to their old culture and ways of life. They rejected the ways of the white man. They were called this because of the fact that they colored their weapons with red paint. The White Sticks won this battle. The Cherokees in north Georgia had become assimilated into the white culture. They had established their own government and constitution and capital using the white man's culture as an example. 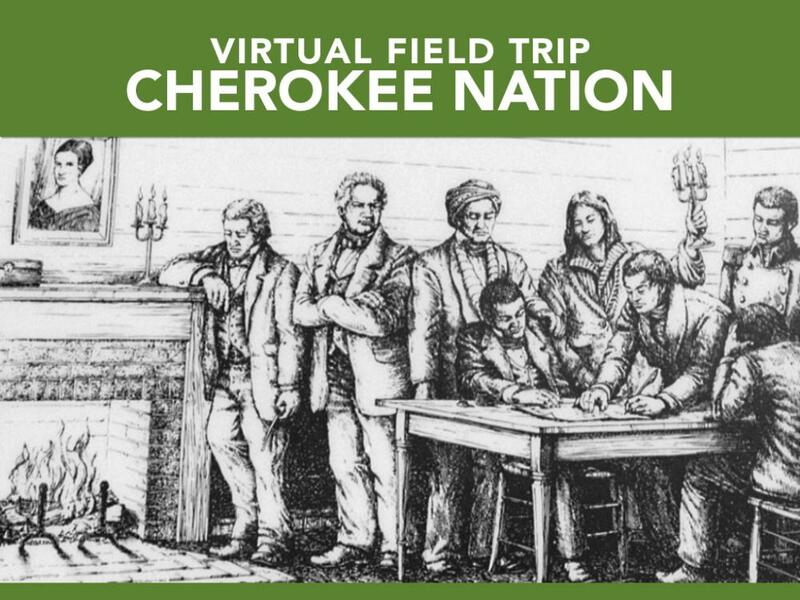 There was a Cherokee capital at New Echota, a newspaper, a written language, and a government that worked. Even if the U.S. government backed up its currency with gold, the value of the dollar would go up and down as it does now. The value of the U.S. dollar depends on the strength and credibility of our government and the strength of the U.S. economy. We do have gold reserves (Fort Knox, KY) but these do not back our currency. Gold, in and of itself, has its own value. It used to be that you could take a U.S. dollar, formerly known as a Silver Certificate, to a bank and get a U.S. silver dollar. That is not possible anymore. However, our gold reserves assure our economy of the worth of our nation—insomuch as gold has worth throughout the world economy. The more gold we have—the more we are worth. In fact, the U.S. dollar is accepted around the world as a trading commodity. Almost anywhere in the world the dollar is accepted as “legal tender.” That makes it worth something.